Made without SLS/SLES, alcohol (ethyl alcohol, ethanol), parabens, phthalates and artificial fragrances. Certified organic and contains fairly traded ingredients. Suitable for vegans and vegetarians. Safe for coloured hair. The Green People Organic Daily Shampoo - Aloe - 200ml product ethics are indicated below. To learn more about these product ethics and to see related products, follow the links below. I have been trying to find a more eco-friendly hair care range for a while and this one is my favourite. It is the best one I have found for producing a lather - a little goes a long way - and it washes out well. Many of the other shampoos I have tried don't lather up or wash out properly and my hair is left feeling drab - not with the green people shampoo. I have really enjoyed using this product. This stuff is amazing. I started using it (in conjunction with the intensive repair conditioner) as I wanted to reduce the amount of chemicals my body is exposed to. My hair is very fine and I've always needed mousse or a volumising product to give my hair any kind of body at all. The first week or two I was thinking it was a mistake as my hair went greasy (like the shampoo wasn't cleaning it properly) then very straw like, dry and course. I stuck it out however and then amazingly, all of a sudden my hair went glossy and (I won't go as far as thick) but it actually had body! All of its own! I don't even need to use volumising products any more. I guess my hair and scalp has finally had a chance to find it's own balance. The smell is gentle like lavender, it lathers surprisingly well and a little goes a long way. I use it on my children too. Lovely to know that I'm not putting harsh chemicals on my body (or my children's) Wouldn't change it now - it's a keeper! Lovely, everyday shampoo, great for *** sufferers. Not for use on coloured hair, though, as it strips the colour. 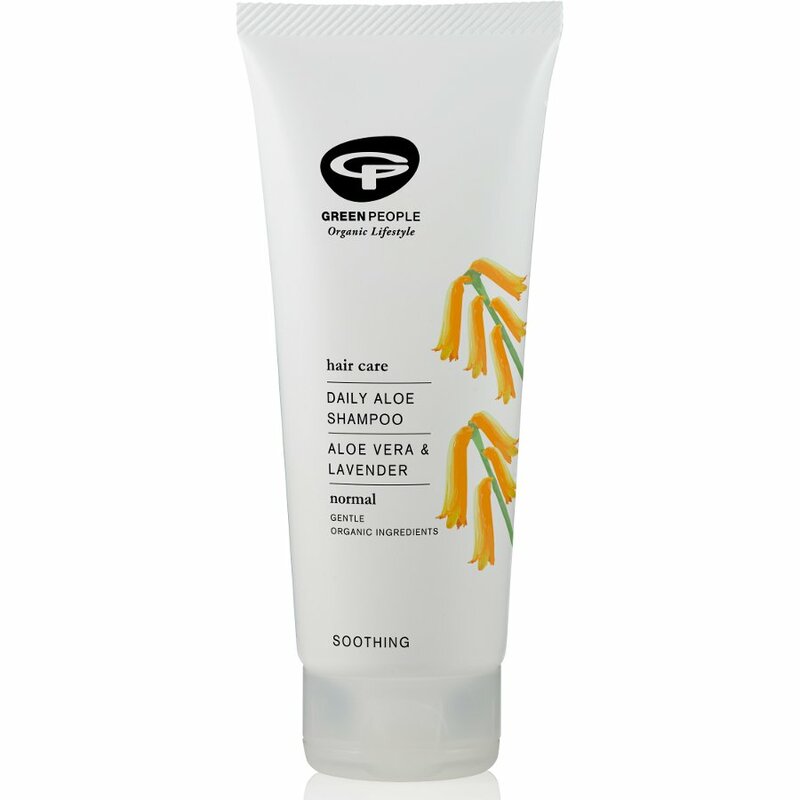 There are currently no questions to display about Green People Organic Daily Shampoo - Aloe - 200ml.